Some thoughts about Hawaii Right to Farm Bill… It’s not just about the Monsantos, Syngentas, Dows, BASFs, or Pioneers. It’s about the family farms like Hamakua Country Spring Farms, Tropical Flowers Express, Kahuku Farms, Kamiya Farms, Ho Farms, Fat Law Farms, Sugarland Farms, Aloun Farms, Ska Tropicals, Nalo Farms, Kuahiwi Ranch, Parker Ranch, Ponohono Ranch, Belmes Farms, and so many more. The big farms use a lot of supplies and equipment that other farms can use. With more people needing farm stuff, the companies that bring it in can offer it at lower prices since there is a greater demand for it. Other farmers can get their fertilizers, potting soils, and other supplies much more affordably as a result. This puts equipment dealers and other farm suppliers in business. Not only does the big farms and small farms need supplies but they also need many other businesses. That includes construction workers to build sheds and processing places for their produce. Drivers and delivery workers to get their goods out to the market. Mechanics might be needed too for fixing equipment. Even plumbers, pipe layers, and an engineer or architect for designing a new building. Fence and iron workers might be needed for putting up fences and gates. A mason worker would be needed for building that foundation for the sheds and driveways. The farmers also need health care companies to work on providing insurance to their workers. Doctors and dentists are needed to care for their workers to also. Accountants are needed to help keep the books in order also. Produce and seeds need to be shipped places by shippers, whether it be by air or cargo. These are things that farmers need others for, which create more jobs in our communities. No farmer could do this alone. What legislators like Wooley, Gabbard, Green, Ruderman, and Thielen are attempting to do is tear apart this system that covers more than just the farms itself. They want their Californian utopia of small little farmers growing food. Who’s gonna pay for maintaining the infrastructures in place? The state? No. They need companies that can absorb those costs and be reliable tenants to the state and other landowners. This in turn creates jobs for the displaced ag workers, who relied on the plantations, which includes skilled workers to scientists. If you tear out this component of the system, the entire system would collapse. Do you think that is a good alternative for Hawaii? Hawaii was built on this system and relies on interdependence of all the parts. So when you sit on the fence and don’t know whether or not to support the Right to Farm bill, you might want to think about it more, because it may spell the end of those nice little farmers’ markets across the islands, as well as impact others who don’t even farm. Who would want to farm anymore when more and more laws are added on your back to make your business even harder? No one. Support the farmers and it means all of them! When most people think of Hawaii, they have the image of beauty. Beauty of the mountains, the white sandy beaches and bright blue oceans and also the natural fauna of our islands. 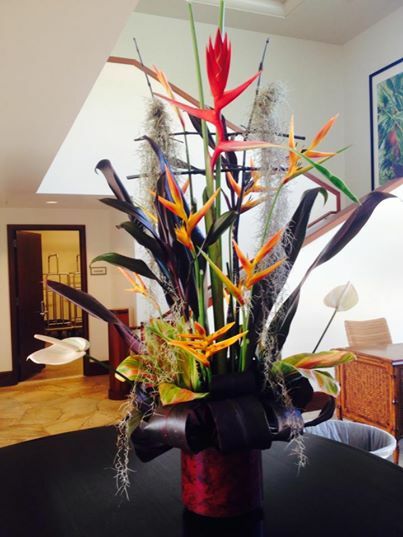 The florals of our islands are truly unique and has become a synonymous with what we think of Hawaii. 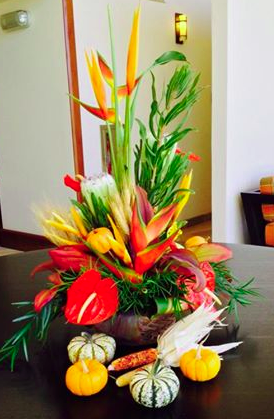 We are so lucky to have many small farmers who make up the Hawaii floriculture industry. Many of them have been at their work for a long time sending that bit of aloha around the world. One of those farms is run by Johnny and Terry Gordines, who owns Tropical Flowers Express on Kauai. When the issue of Bill 2491 hit the island of Kauai last year, some farmers, who know the agriculture issues in Hawaii, spoke out. Johnny was one of them. Others stood in the background instead of taking the risk of being a target. Little did he know that he was not dealing with local folks, and was barraged with disrespect and hate for submitting testimony for the bill and for a letter in The Garden Island paper. Here’s his testimony that he sent it which was publicly filed and viewable to all. It would be wonderful if farmers could stand in their fields, wave their arms and weeds, insects and plant diseases would magically disappear. It is too bad this cannot happen. Instead, to banish pests and disease, farmers rely on sound scientific practices. They use pesticides and seeds resistant to insects and diseases. Their crops thrive and people all over enjoy a bounty of healthful fruits and vegetables and beautiful flowers. Farmers use pesticides with great care and regard for themselves, their families, the people who work in their fields and their neighboring communities. Authorities in the State of Hawai’i and the U.S. government monitor farmers and all of the work that goes into pesticide development and application. With its Bill 2491, the Kaua’i County Council seeks to insert itself into regulating pesticides and GMO crops — the exact same things our state and federal governments are already doing. It would take years and untold millions of dollars for our county to develop the same expertise and professional staffing to do what Hawai’i and the federal government are already doing. The bill will impose many of these costs on the commercial seed growers in Kaua’i. Faced with these new costs, the growers will probably close down their farms, layoff their workers and leave Kaua’i. It has been stated by Mr. Gary Hooser, the introducer of the Bill 2491, that it will not affect the small farmers here on Kauai. 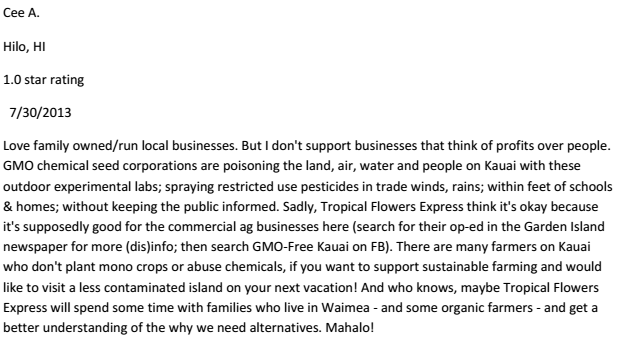 On the contrary, if the seed companies are forced out of business, the chemical supply companies here on Kauai (Crop Production Services and C.Brewer Chemical Co.) will be forced to go out of business. This scenario will be devastating to the farmers on Kauai. We presently purchase chemicals, soil amendments, irrigation supplies as well as organic materials from them! This will have a major impact on my business Tropical Flowers Express. Please consider the impact on the Kauai farmers. I do know that, as the former farm manager for the Kauai Ag Research Center operated by the University of Hawai’i, College of Tropical Agriculture, this bill would devastate our work. I have applied restricted use (RUP) and general use pesticides in my work at the University for the past 32 years and have been a certified Category 10 licensed applicator. Our employer has provided physical exams yearly as well as a cholinesterase exam. Department of Labor & Industries rule (WAC 296-307-148) requires agriculture employers to provide blood testing to workers who handle pesticides that can lower “cholinesterase” in the body. In my 32 years of service for the U.H., neither mine nor any of the employees’ level of pesticide exposure or handling, has ever been at a level that was detrimental to our general health! I am now 63 years old. I am also the president of the Hawaii Tropical Flowers and Foliage Association on Kauai and a Director for Kauai on the Hawaii Floriculture and Nursery Association our statewide umbrella organization. The Floriculture industry is a vanity industry where the newest and unique catches the attention of the market. This means for our industry to remain competitive we need to have new and cutting-edge flowers and foliage in new colors and styles. An important tool for this is to be able to get new varieties, longer lasting varieties, and healthier varieties through the use of science, technology and innovation, such as GMO. We believe it is important to look to the future of our agricultural industry and not handicap ourselves with laws that seek to close the door on technology. It is important that we keep finding solutions to pest and diseases that currently attack our plants and crops. With disease and pest resistant plants, we would be able to use less pesticides, which would lower costs for farmers and have a greater yield of product, allowing our sector in agriculture to improve efficiencies. Please, County Council members, before you vote on this bill consider the damage it can do to agriculture on Kaua’i — the jobs it can destroy and the businesses and communities that will suffer. Please think wisely and vote “No” on Bill 2491. Usually in Hawaii, most people are pretty respectful of differences, however on Kauai, the story is completely different. What happened on the social media was totally shocking to most levelheaded folks. The anti-GMO mob decided to attack his business online through his Facebook page and his Yelp page. Just see what this small farmer and business owner had to contend with, a bunch of bullies right in his backyard. This is what was being said about his business online in public posts on Facebook after he spoke out. One activist even posted this comment on his Facebook business page too. They went on Yelp too and disparaged his business. 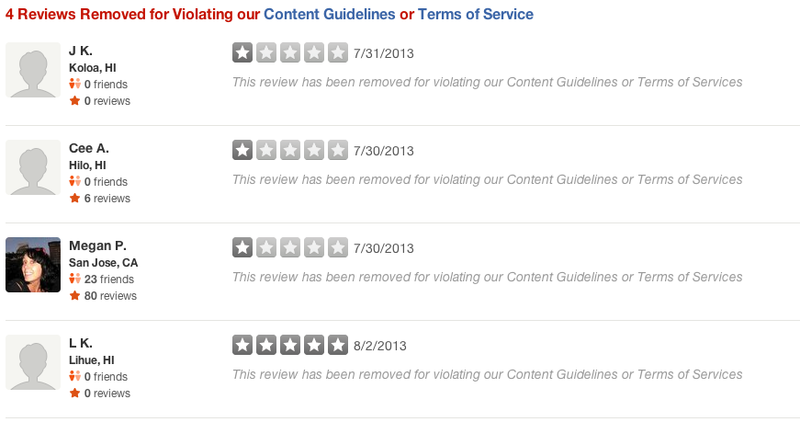 Some review have been removed but others persist. You can read the corresponding reviews below to the above clip since they have since been removed. This issue goes well beyond the corporate hate and government distrust that these activists share. It hurts everyone in the process. The attacking of small farmers like this, who know the technology and tools available and speak up, ultimately pay the price for doing so. That is why so many farmers like Johnny Gordines and others look to the leaders, to address this issue first and foremost, with facts and evidence, and not the loudest voices of opinion. Farmers keep our country country and help the spread the beauty of Hawaii around the world. The support of the legislators is crucial in perpetuating this because you can’t tear apart agriculture, because doing so hurts it as a whole. We need leaders’ support to keep Johnny at his work to spread that bit of aloha around the world! Support the Hawaii Right to Farm Bill and stand up for what is right! Visit Johnny’s work at Kauaiflowers.com and on Facebook at Tropical Flowers Express. Support the farmers with local voices! As we begin a new legislative session, we are often reminded of the adage that the “squeaky wheel gets its way.” How absurd! What happened to our aloha spirit of mutual respect, live and let live, and honoring wisdom and education? No matter the facts, the loudest clamoring to get one’s way or to impose one’s beliefs on others is not the way I was raised in Hawaii. We often praise the isseis and nisseis of all cultural groups that made Hawaii a special place to live and work, and eventually retire. Through their hard work, suffering, self restraint, and self denial, we now enjoy the fruits of their labor. However, in this current age, we as farmers, are now told to emulate the squeaky wheel, to protect our heritage and culture. In all due respect, and with the belief in aloha handed to me and my children, we are reluctant to become the very thing we were taught not to do. It is just not our way. Therefore, it is incumbent in our elected officials, as they chose to be, and some duly elected, to be brave and honest and honor our aloha spirit. It is not our way to make more noise than the opposition so that you can make an excuse for your actions. As a kid growing up on the farm, I knew firsthand how hard farm life was. There was no leisurely Saturday mornings in front of the TV or fooling around all day doing nothing. There was work to be done before the sun even rose and time was precious. Seeing how hard my parents had to work and all the time and energy spent on the farm was not clean or easy either. Farming did not make enough money to support a family of four kids so my dad had to take on another full time job to make ends meet. If he wasn’t working at his day job, he was working on the farm. My father was always working and doing something. He still does it to this day well into his 70’s! Having a childhood of hard work and seeing all the toils and troubles of the farm made me realize as a kid that I didn’t not want to pursue that as my life’s work. It just wasn’t worth it to put in all the hard work and get little in return for it in terms of financial compensation. My parents didn’t push us into considering farming as a career either as during the 1990s because the papaya ringspot virus was at the peak of its destruction and looking as if there was no future. It really appeared that what was once my grandfather’s farm and now my dad’s farm would be over until it was saved by the biotech research. By that time, I had already chosen a different career path into health care. As I got older and moved off of the laborious part of the farm, I did get to see an entire different picture as to why my dad kept at it, despite all of the hardships involved. In college, I started to help out with doing the small deliveries in downtown Honolulu to the long time store keepers who sold my dad’s papayas. On one occasion, I had been running late for the delivery and found myself encountering a line of old folks waiting for me. I got scolded by them and heard old worn canes hit the concrete to show me their irritation for the delay. As soon as I opened the pick-up truck bed and struggled to bring in the cases of papayas, these old folks went back into filing into their line at the shop’s entrance. No sooner had the shopkeeper started unpacking the boxes did the flurry of white hair and scent of medicinal rubs hone in on the fruit. This was amazing to me that these old folks were so energetic about getting their fruits! The more I did these deliveries, I realized the reason why my dad worked from the crack of dawn to dusk on the farm. He had a very faithful and grateful following of people that were seeking out his papayas! He loved hearing from these folks about how great his fruit was and how much they enjoyed it every week. Many of these customers have gone to these small stores or Times Supermarket for decades only for his fruit. To my dad, this was worth the work of farming. It isn’t only about the money he makes to keep at it, but also about the appreciation he gets from his customers that kept him farming all of these years. His customers are also grateful that they still can have this fruit regularly thanks to technology. I now look back on all of these experiences with a completely different view of farming. My siblings and I did not immediately consider continuing this family business, but my brother has felt and heard the appreciation of our customers that won him over to follow in the footsteps of my dad. I start to look even further from brother and ask myself, “Who would be next to continue our family legacy?” It would have to be my children to step up. Will I be like my parents who discouraged us to not pursue it because of the issues and risks involved or will there be a real future for farming for my kids? For now, I keep an open mind and provide my kids with opportunities of what the world has to offer. How the world is changing and where technology is going seems infinite and so is my hope for the future of farming, if we support and nurture it. 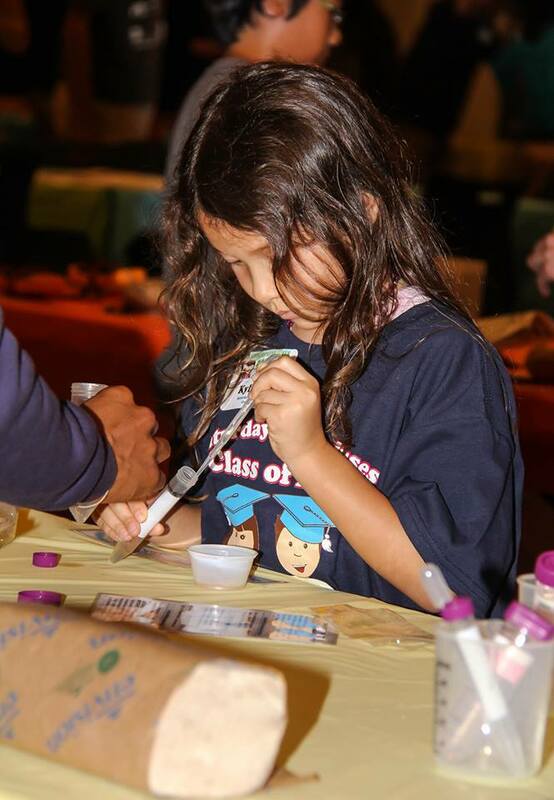 The future lies in my older daughter who loves learning science from the UH Geneius Program and my younger one who loves playing with her tractors and trucks that she chose with her papa. They are my hopes for the future generation of farmers. Please continue to speak up for the our farmers by signing my petition and help Maui farmers also by signing their petition. This is a repost from my Huffington Post blog. Famous Thanks to Andy Parx Today! CHEMICAL FARMERS PLAN LETTER WRITING CAMPAIGN TO CASH IN ON S-A EDITORIAL DURING UPCOMING LEGISLATIVE SESSION(PNN- Jan, 14) An email circulated among the leaders of the chemical “farming” industry in Hawai`i reveals an upcoming letter writing campaign to try to take advantage of a recent pro-industry editorial in the Honolulu Star-Advertiser and a secret meeting between industry honchos and trade groups and the newspaper’s editorial board.The email from Hawaii Cattlemen’s Council board member and past secretary Alan Gottlieb was addressed to a long list of industry insiders urging them “to ride on this momentum (of the editorial), fast” by “asking for _*all*_ of our members (Farm Bureau, HCC, Papaya, etc) to write a *150 word positive letter to the editor* *_and_* *send them to the commodity leader ~ Johnny Gordines @ *Kauai Flowers [email address omitted] (_*not*_ to newspaper yet). We will *hold those letters and submit slowly to create a _sustained_ effort. *Make sense?” (all SIC)This email was then re-distributed to Kaua`i Farm Bureau members by it’s head Jerry Ornelles who revealed the meeting with the editorial board.The list of recipients of Gottlieb’s email contained one puzzling name amongst the “usual suspects” like Hawai`i Crop Improvement Association attack dog Alicia Maluafiti, chemical factory farmer and the funder of pro-GMO advertising campaigns, Richard Ha, Hawai`i Farm Bureau President Dean Okomoto who was videoed assaulting a woman in the hall outside a hearing on GMO-labeling at last year’s legislature , Ornellas, Kaua`i Farm Bureau Vice President Laurie Ho* and Pro-GMO gadfly Joni Rose.The odd name is that of Gary Baldwin, presumably the same Gary Baldwin that was the founder and former head of the Kaua`i Economic Development Board (KEDB) who left the island in disgrace after it was revealed that he was was wanted for various bunko crimes in Colorado and Arizona. He fled Kaua`i when the news was revealed and is said to have settled in the Northwest. Baldwin had risen from a nobody to become former Mayor Marianne Kuskaka’s golden boy, serving on the planning commission and working closely with the Kaua`i Visitor’s Bureau while being groomed for political office.Chris Manfredi, Jason Moniz, Lorie Farrell, Janet Ashman, Brian Miyamoto, Alex Franco, Chris English, Alan Takemoto, Laurie Ho, Eric Tanouye, Eric Weinert, Ross Sibucao and Michael Madamba round out Gottlieb’s list of recipients. The lobbying effort comes on the heels of a lawsuit filed last Friday by the Kaua`i chemical companies Dow-Syngenta and DuPont-Pioneer to try to stop Kaua`i Ordinance 960 (formerly Bill 2491) which requires disclosure of the specific types, dates and times of the use of restricted use pesticides that are used on GMOs and sets up buffer zones around things like schools, hospitals and waterways. It also institutes a study group to look at the effects of the open air experimentation of pesticides and GMOs. The letter writing campaign will apparently be timed for publication throughout the upcoming legislative session where a handful of legislators- those who head the list of chemical company campaign cash recipients- are reportedly planning on introducing legislation to try to “pre-empt” Kaua`i Ordinance 960 along with a measure passed on Hawai`i Island that bans outdoor experimentation on foods using genetically modified organisms (GMOs), with some exceptions for those already in production like papaya. Maui has introduced a measure similar to the one that passed on Kaua`i. 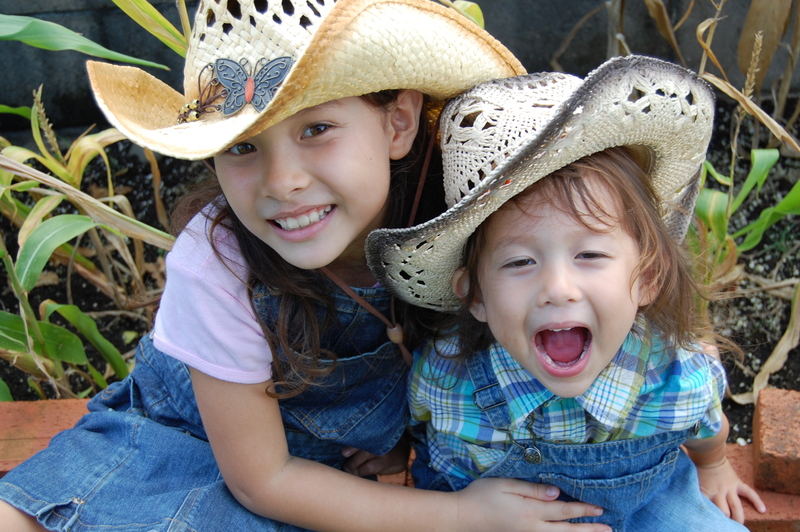 Correction: Laurie Ho is the Vice President of the Kaua`i Farm Bureau. She does not work for the state. The above post has been corrected. I’m surprised that Andy Parx hasn’t figured out why people are joining together. Well, we all knew that logic and critical thinking are not high points in these anti-GMO mob members, so I’m not surprised he’s writing it. I like many others are sick and tired of you non-farmers, hobby activists (Chuck Lasker’s perfect term! ), yardeners, and no local style ways attacking all of us and our families with your barrage of hate and disrespect. We’re not stepping down, and you can bet that you’ll be hearing from us through the media. That’s our right to be heard, not just the mob rule’s right. The day that the mob starts a farm and runs their own business, to actually grow food for others, is the day that you’ll get your turn. Until then, you can bet people are going to speak up. And we’re not the ones who tell others to drink poison or accuse others of crimes against humanity. I’ve been told by your mob members that they wished I had birth defects and that when I meet my maker that I’ll be forgiven for speaking up. I’m not backing down for the sake of what’s needed in Hawaii, who are farmers, not the mob dictating laws. 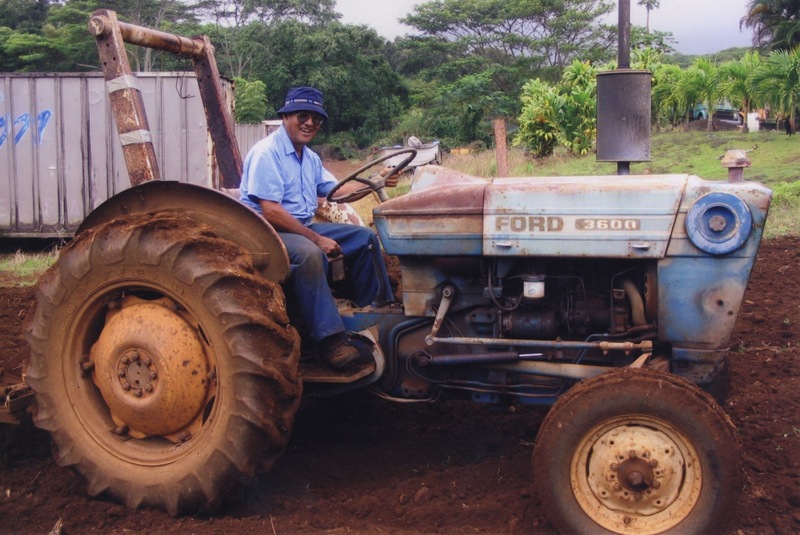 Our farms coexist because we see that each of us are part of the system called agriculture in Hawaii. That’s what brought us local folks together and the common bond we all share. We don’t share mob bonds that read Natural News, Babes Against Biotech posts, Hawaii GMO Justice Coalition, Ohana O Kauai, and others. Tokyo Rose, as your mob has aptly called me, and gadfly, as you call me, is going to fight back and you can count on that. 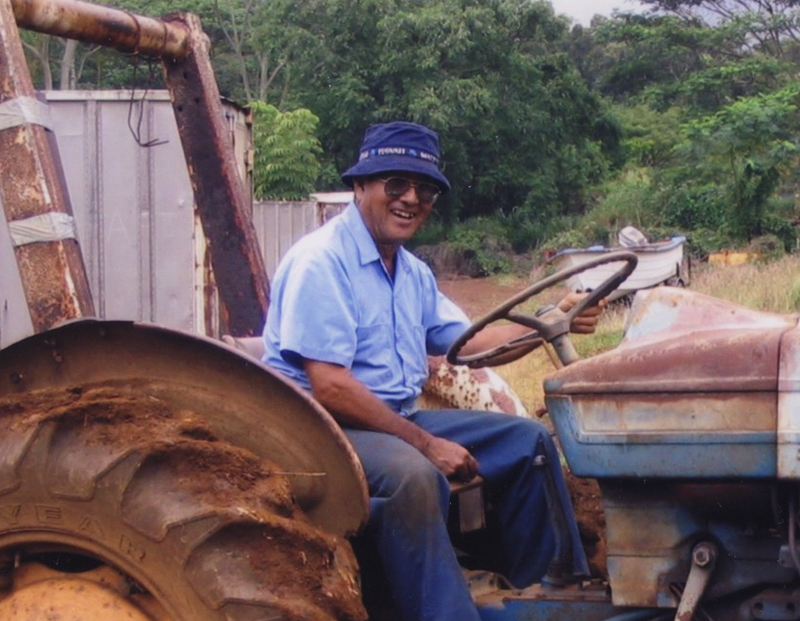 By the way, you did forget a big name on your list… My dad, Kenneth Kamiya, a biotech papaya farmer. Hawaii is known as the melting pot of cultures. Many people from diverse regions of the world came to our islands for one common reason… To start a better way of life. The opportunity that brought them here was agriculture. My family have had their hands in agriculture for a very long time. My great grandfather was born in Hiroshima, Japan and came to Pahoa on the Big Island, where he grew coffee. My great grandparents on my dad’s side immigrated from Okinawa and started their life on the Big Island of Hawaii to work on the sugar cane plantations over a hundred years ago. Many other local folks have similar stories of relatives who came from the Philippines, China, Korea, Japan, Portugal, and other countries to give them a better opportunity. The very diversity in Hawaii was created by agriculture. Being local has its own set of unstated rules about how we treat each other and how we interact with each other. Local folks value respect for others. Can you imagine if the Chinese workers went up and told the Japanese ones that they didn’t like something about them? Plantation living meant maintaining harmony and working together towards a common goal. It was key to the success of the plantations here. A plantation could never function if there were such uprisings of people against each other. Coexistence and interdependence was key to everyone’s survival and a way of living here. Fast forward a century later and see what has happened. 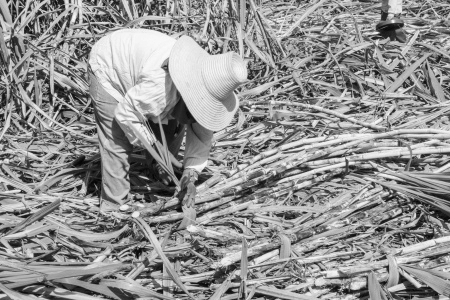 The plantations are no longer here and a new kind of agriculture has replaced those lands. Technology has advanced how we farm and how we take care of the land. Farming has built an evidence base to expand on. Agriculture still remains a huge industry here and is still what makes the country country. However, what has changed is that certain people have started to attack it. Agriculture is essentially a tapestry of what makes Hawaii unique. A small group of people, who don’t share our plantation and farming roots, have decided to unravel at the threads of what made us who we are by using fear and misinformation. Local people have never experienced such kind of tactics and stand at a crossroad as to how to handle this. Many long time local farmers have decided to remain quiet, while others, have decided to speak up. The ones who have spoken up have paid the price by being ridiculed and disrespected by these activists. They’ve decided to lay low and hope that the tide will change soon since activists have succeed in destroying reputations on the social media. Local folks don’t like being the target of this kind of behaviors and just endure quietly. Leaders are not hearing these voices as a result. These activists and aligned politicians have essential decided to unweave the very thing that made our islands what they are today. It is very clear that they don’t understand or embody what it means to be local. Richard Ha, a long time farmer who owns Hamakua Country Springs Farm, calls these locals the “rubbah slippah folks.” They want their Hawaii, not the local style Hawaii that those of us born and raised know of. They are also taking advantage of the fact that local folks just don’t speak up. It is so against typical rubbah slippah folks to stick their necks out for something. The level of respect of the activists are clearly zero. They are essentially coming onto local folks’ farms and dictating what and how they want their food grown. What local person would ever think of doing that? I am only a single person, who decided to take a leap and speak up. I have created a simple way for others to do the same. Please sign the petition to give your support to the farmers of our state and let our leaders know that the local folks aren’t going to sit back anymore. It’s now our turn to be heard! That is how I will honor and respect my roots in agriculture! Will you do the same? It’s 5 am in the morning and the sun hasn’t even broken through the horizon but the papaya farmer is up already. He gets dressed and ready to start the day to head down to the farm with his lunch packed and water bottle filled. His body aches from the work yesterday but a little bit of muscle rub and a pain pill helps him get going and ready to toil the land again. The farmer takes one last look at his desk before heading out to be sure of the things he has to do today. He looks over his list to remind himself that today he has to stop by the accountant’s office to be sure to turn in his labor hours for payroll so that checks can be cut on time. He has to make sure that all his invoices are tallied and ready to file for the general excise taxes and quarterly tax bill. The invoice for the tractor battery that was stolen last month also have to be paid along with the utilities used. Property taxes and leases have to be paid by the accountant. Hopefully, there will be enough income at the end of the month to pay himself a salary also. Once all that is settled, he heads outside to load his truck to head down to the farm. His pickup truck is already loaded with the gas cans, fertilizer, potting mix, seeds, and other supplies needed to prep for the new planting. The farmer did that earlier the day before and can just take a leisurely drive down to the country where his farm is at. While driving, he gets multiple voicemails from his customers but continues on to check it later. For some reason, it is unusual that he has gotten at least 7 calls before 7 a.m. but he reminds himself to listen to it. When the farmer gets down to the fields, he unloads all the supplies from the truck and prepares the tractors and packing shed for today’s harvest. It had rained the night before so the soil is really soft and moist which means that the picking will take longer than usual to get through the mud. As he surveys his fields, he notices that his newest field looks different. The wild pigs must have come down and dug up some of the latest seedlings and tore up the irrigation lines with it. He makes a mental note to be sure to replace those seedlings and make the repairs after the harvest. He stops for a moment to check all those new voicemails he received. Apparently, the outer island’s controversial bill was passed and his customers are worried that they will be affected by it. He reassures them but in the back of his mind, he’s troubled that there is yet more regulation to come. He already went through an onerous regulatory process to get food safety certified that cost him a significant amount of income and time. He also knows that he completed all of his Federal compliance documentation and is preparing for his State level regulations too. He gets a headache just thinking that there will be yet a third level added to his plate in the future. That thought goes to the back of his mind as he reassures his customers that they will still have their papayas. Those conversations leave him very troubled for the future viability of the farm but he has work to do. It is now time to harvest the field under the ominous cloudy skies that hang overhead. He jumps on his forklift with its platform and bins preloaded to pick this week’s fruit. The workers are quick to notice that the harvest looks suspiciously low in the new field. Upon closer inspection, they notice that there is sap dripping from the stems of the trees. They all realize that someone has beat them to the fruit already. The farmer climbs down the forklift and scans the field. It looks as if some 500 lbs. of fruit have been stolen this morning. He gets back up the seat and continues to pick whatever remaining fruit is left. It’s a devastating harvest of half of the usual amount. That’s not a good thing because his customers were expecting full orders to be filled and he won’t be able to supply it. After about 3 hours, the entire field is picked of whatever fruit is left and brought to the processing shed. There the farmer and his workers grade, wash, then pack the fruits up for delivery tomorrow. The papaya cases are packed in to the refrigerator to keep it fresh for tomorrow’s delivery. The day is not done yet since there is still more work ahead. The farmer does a check of his equipment to be sure that it is all in working order to get another field ready for a new planting. The cover crop is matured and ready to be plowed back into the soil. His plow is hooked up and the gas tank is filled in the tractor. Everything looks like it is in working order and good to go. He then checks his other tractor that will be used to spray some sulfur on the maturing field to prevent the bugs from investing that crop and destroying his fruit. He calculates the acreage and amount he needs and gets it ready to be used by his other workers in prep for the next day. He also checks that he has enough fertilizer to get that on the other fields that are ready for it. The farmer does yet another scan of his fields to check for any diseases or pests in the trees as well as check the irrigation lines. Walking through several acres takes sometime but he has to be sure that everything is intact. As he goes through the fields, he pulls off any loose leaves on his younger fields to prevent damage to his fruits should the wind tear through it. He gets back to the shed in time to also meet up with a reporter who received a tip about problems he’s been having on his farm with thefts. He spends about an hour with the reporter and the camera man to show them the field and tell his story. Last but not least, he sets up the farm to get ready to give a private tour of the farm to some school kids. He plans his lesson with them to help them learn more about farming. He would like to show these young children how things grown on the farm and what he does there. He wants to make it lots of fun and pass on some knowledge to them in the time he has. It’s already 5:30 p.m. and time to head back home to get up for yet another day. He remembers that he has to plan for the following week because will lose a whole day’s work due to him needing to testify at legislative hearing. He has to speak up to defend his life’s work because the public’s pressure on politicians to dictate how he should farm. Our small farms do this day in and day out. They provide a very basic need for all of us… Food. Where is the leadership needed to support these farmers? Are they aligned with the activists who are essentially standing on a farmer’s front yard dictating how they want their food grown? There’s something very wrong with that picture. That is not the local style of doing things. Our leaders already have shown that they can make hard, unpopular decisions as with the marriage equality issue. When it comes to essential needs of the populace, where are they in coming out to create an environment of support for farmers? Yes, it is an election year and the activists are putting pressure on those seats of yours. Do you cave to the demands public opinion or can you stand up for the small guy? Take a stand leaders of Hawaii and do what is right. The farmers will never be the loudest voices but deserve your support in the form of strengthening laws to give farmers the respect they need. Not doing anything tells the future generation of farmers that they should quit ahead of the game because they are at the whim of leaders who hinge popular opinion and misinformation. Hawaii’s future in agriculture depends on good leadership to move it forward based in evidence and sound information. People are starting to speak up for the farmers. Read what they have to say here about what others are saying. Sign it too if you support your farmers and what they do.